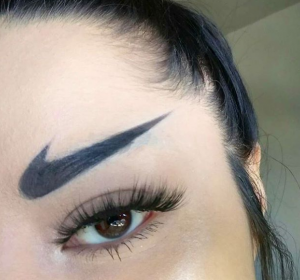 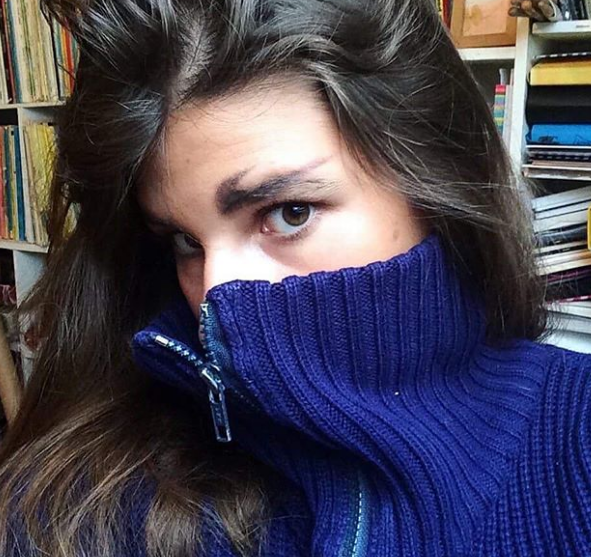 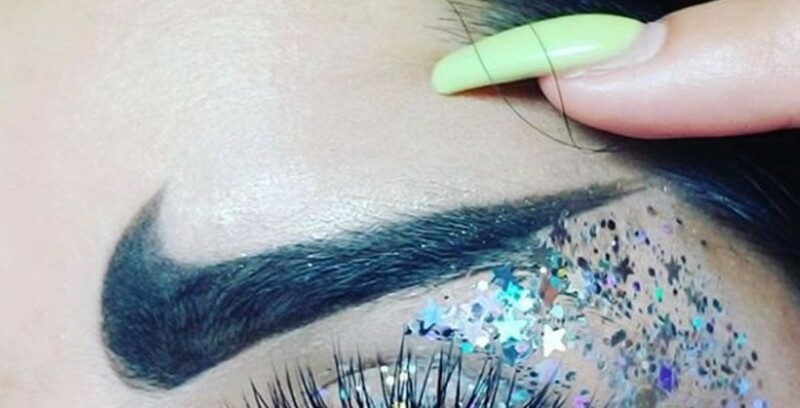 The latest beauty trend on social media is thick “nike-shaped” eyebrows! 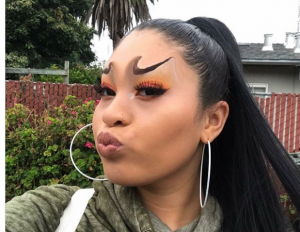 Yes, that’s right. Many young girls are loving the new fashion fad and are posting imagers on their social media showing off their nike-brows! 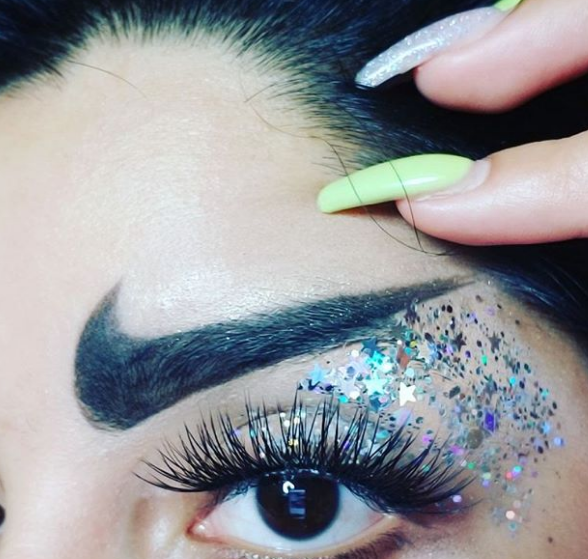 Some girls are adding a little glitter to the side for a more glam look.